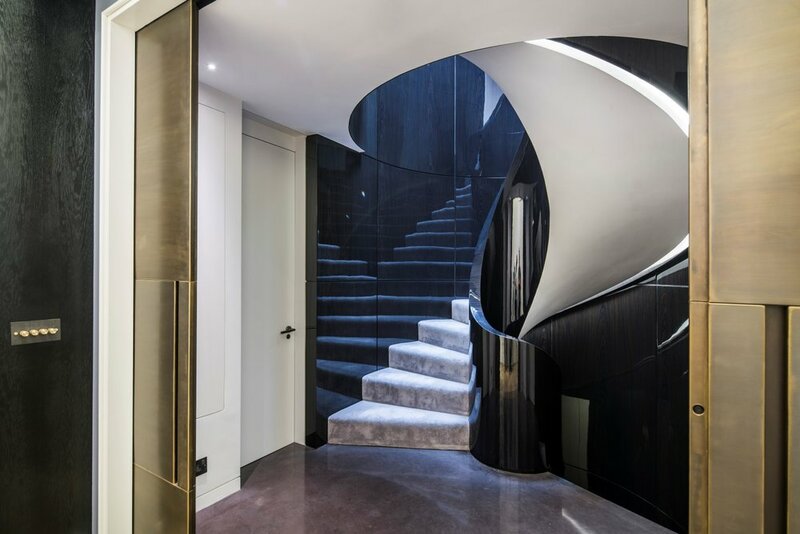 Mizzi Studio was approached by Greenway Architects to design a five-storey bespoke spiral staircase for a private house in the heart of Mayfair, it proved to be no ordinary commission. One of the biggest challenges for the team was to work out how to link a house that spans five floors, each with a differing ceiling height. 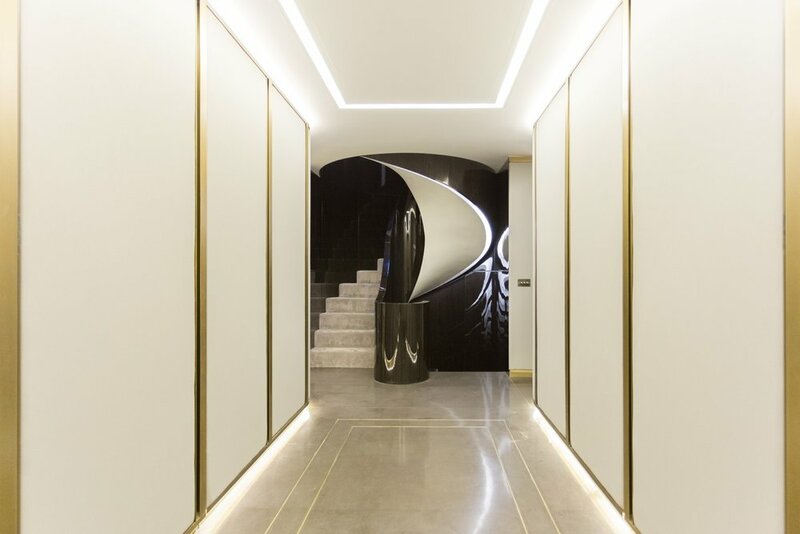 Our client’s art collection was very much a focal departure point for this luxurious project in Mayfair. They had a strong desire for their home to have an art installation of its own – a feature that would inspire them, and their visitors, on a daily basis. This sweeping, luxurious structure is not only functional, but works as a piece of art in its own right. 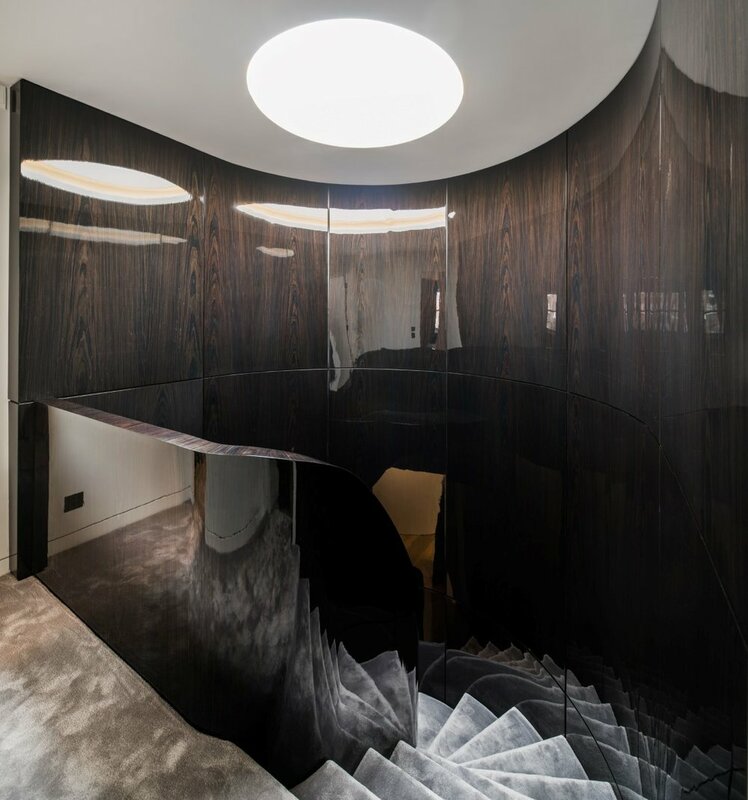 This meant that the staircase had to break from its spiral circulation into a series of bespoke landings cut at different angles for the stairs to land onto each floor. But this obstacle presented the team with a design opportunity to create a unique piece of sculpture on every level of the house.Mimicking a whirlpool, the spiral staircase succeeds in becoming a permanent form of installation art for its owner, taking visitors on an experiential, uplifting flight. 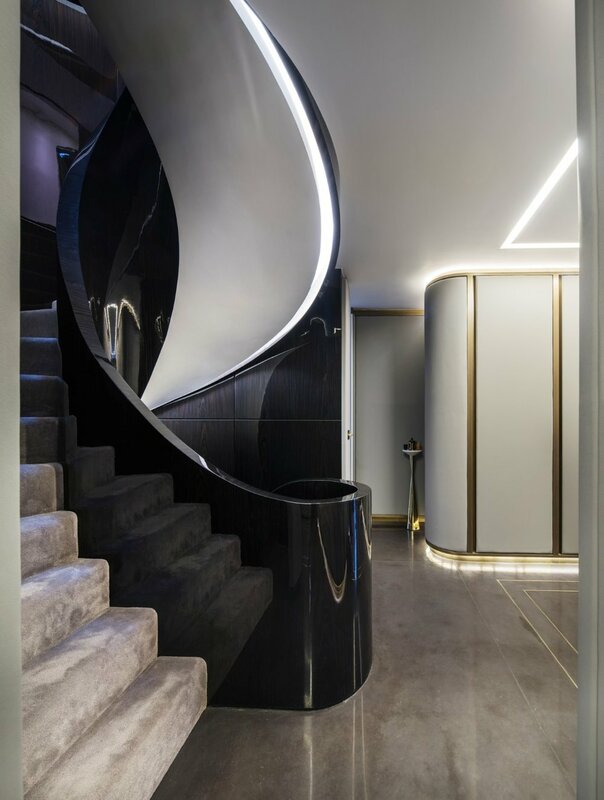 The staircase is illuminated both naturally and artificially via a recessed LED trough that further highlights the spiral’s curve, whilst adding a warm white opulent touch. The outer walls and inner balustrade are clad in a deep, dark ebony - delicately sanded by hand and then lacquered and polished over a course of ten coats. The blemish-free, long, liquid oil-like mirrored curves of deep ebony surround users as they are guided by accent light through an awe-inspiring and surreal journey of reflection.